HABRI’s research highlights the human health benefits of pet ownership. Being a pet owner is good for your heart, according to the American Heart Association. Pet owners have significantly lower systolic blood pressure than non-pet owners, the organization says. Another interesting finding? Owning a cat makes you more likely to be alive one year after a heart attack. Non-cat owners had a 40 percent greater likelihood of death. These heart health scientific facts are just a few of thousands collected by the Human Animal Bond Research Institute. Through science and advocacy, the Washington, D.C., institute is highlighting the vital role of companion animals in the health and well-being of individuals, families and communities. Veterinary Advantage, a Today’s Veterinary Business sister publication, spoke with HABRI Executive Director Steve Feldman about the organization’s research and initiatives, why they matter to all animal health industry stakeholders, and how veterinary practices and their business partners can use the research to cultivate deeper relationships with pet owners. Can you explain some of the key elements of the science behind the human-animal bond? Feldman: Positive human-animal interaction appears to be related to changes in physiological variables both in humans and animals, particularly dogs. This bond has been shown to influence levels of blood pressure, heart rate and hormones correlated with well-being including cortisol, oxytocin, b-endorphin, prolactin, phenylacetic acid and dopamine. Oxytocin, recognized for its role in bonding, socialization and stress relief, has been linked to many of the positive psychological effects of human-animal interaction. Some of the most widely cited research findings focus on the benefits of human-animal interaction for reducing stress and depression in survivors of trauma and post-traumatic stress disorder (PTSD), for improving communication and social skills in children with autism spectrum disorder, and in reducing blood pressure and heart rate. Why is the human-animal bond important to human wellness? Scientific research supports the human-animal bond for improving human health and wellness for people of all ages and health conditions. Human-animal interaction has been shown to improve child health and development, mental health and wellness, and healthy aging. While advances in scientific research have been made, the role of a companion animal in a person’s life has also increased within the last few decades. Pet ownership in the U.S. has increased significantly. In 1988, 56 percent of U.S. households said they had a pet. In 2017, that number jumped to 68 percent. 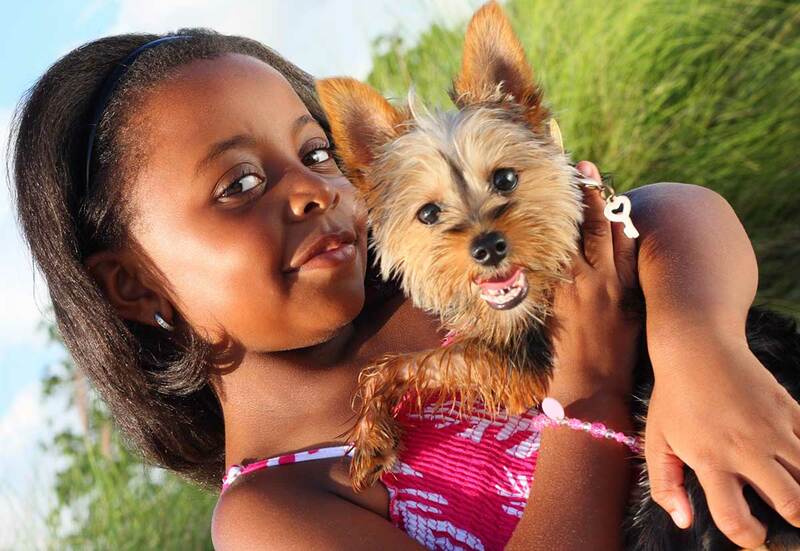 Furthermore, 98 percent of pet owners consider pets to be an important part of the family. The expanded role of pets in our lives paired with the variety of benefits we receive from interacting with pets makes the health benefits of the human-animal bond so much more impactful and important. How can that knowledge strengthen veterinary-client relationships? From a HABRI survey of pet owners, we know that veterinarians are seen as trusted resources for information about the human-animal bond. In fact, virtually all pet owners —97 percent —have a favorable opinion of their veterinarian. 66 percent of pet owners — 77 percent of millennials —would have a more favorable view of their veterinarian if they discussed the health benefits of the human-animal bond with them. 61 percent of pet owners — 74 percent of millennials —would be more likely to visit their veterinarian if they discussed the health benefits of the human-animal bond with them. As the body of scientific research on the human-animal bond continues to grow, more pet owners are looking for ways to strengthen their relationship with their pets. Millennial pet parents, in particular, are looking for a veterinarian that can show they understand and support the human-animal bond. What are some of the tools to help promote the human-animal bond conversation? The Pet Effect Campaign, created in partnership with HABRI co-founder Zoetis, is a great resource for veterinarians to help communicate the message of the human-animal bond to their clients. HABRI provided the scientific evidence behind the campaign, which features fun videos, infographics and other printable materials that veterinary practices can incorporate into their waiting and exam rooms to help start the conversation about the human-animal bond. For more information about The Pet Effect, please visit https://habri.org/the-pet-effect. Where is HABRI active on the public policy front? Why is advocacy important? HABRI is most active in supporting policies that help people who can benefit from access to companion animals. Most recently, HABRI is working to educated lawmakers about two pieces of legislation: the Pet and Women Safety Act and the Puppies Assisting Wounded Servicemembers Act. The Pet and Women Safety Act would expand federal law to include protections for pets of domestic violence victims and establish a federal grant program that will help ensure that victims have access to safe shelters for their pets. Up to 65 percent of domestic violence victims and 48 percent of battered women remain in abusive homes out of fear for their pets. Most domestic violence shelters do not accommodate companion animals onsite. This bill would provide necessary protection for domestic violence sufferers and their pets. Lower overall symptoms of post-traumatic stress. Lower levels of social isolation and greater ability to participate in social activities. Less absenteeism from work due to health among those who were employed. HABRI envisions a world where the human-animal bond is embraced as an essential element of human wellness. While advancing the scientific research that supports pets for human health and well-being, advocating for pet-friendly policies will help put the research into practice. 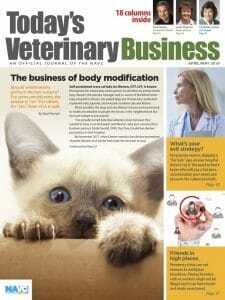 The North American Veterinary Community, publisher of Today’s Veterinary Business, and the Human-Animal Bond Research Institute launched a certification program focused on the science behind the bond. This specialized training is designed to set a veterinary practice apart from the rest. More information is available here.